As a creative, it can be difficult to talk about yourself and your work. What do people want to know? How long should your bio and statements be? 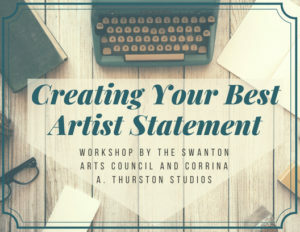 Come to this FREE workshop to learn how to write your best artist statement, with useful examples, tips, and easy to implement advice. 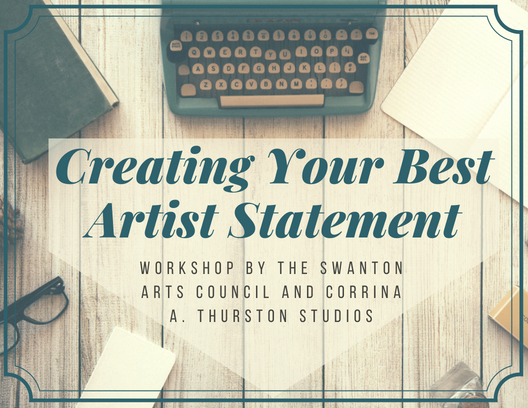 This is the third and final workshop in this series put on by Corrina Thurston and the Swanton Arts Council. Join us at the My T Fine restaurant in Swanton, VT!